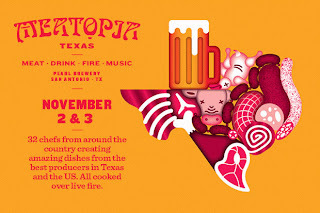 - Meatopia is in Texas for the first time, and it’s in San Antonio! 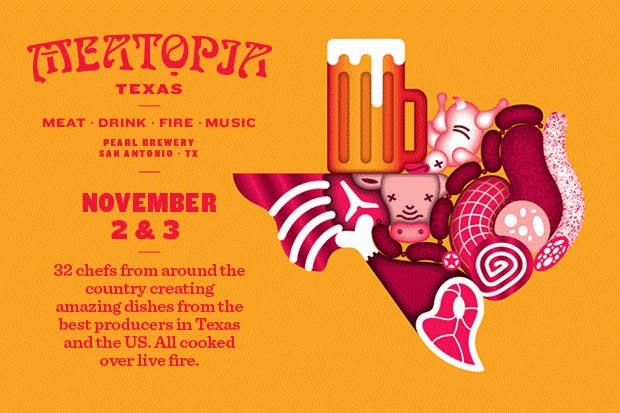 The sold-out event will be held this weekend at the Pearl, where there will be 33 chefs from around the country cooking over live fire. Obviously, the event is meat-centered, but there is a vegetarian chef from Green. The flexitarian in me feels like it’s weird to glorify this much meat (and to put the cartoonish dead animals on the logo), but I have to admit that were it not for the Little Prince, I’d have made this our monthly outing (which we’ve yet to resume). - Please me Please Muffins, a recipe to please everyone (anyone who reads food blogs will love this post). - Looks like I have to learn a categorization system for maple syrup - so much for Grade B! - Brace yourself – there might be a sriracha shortage. - Women with big butts are smarter and healthier. Well, that made my day! - I had mentioned Robyn Lawley before – she’s the model with a food blog. She recently wrote an article, Why the Dangerous “Thigh Gap” Trend Makes me Mad that I really enjoyed. - A TED Talk by Elizabeth Loftus: The fiction of memory. - Tyler Cowen’s 10 reasons why Texas is America’s future, a quick summary of his interesting article in Time. - There’s a book out today called Schottenfreude: German Words for the Human Condition, by Ben Schott, that is just delightful! I’ve always felt that English, when compared to French, gives one the ability to coin new words to describe just about anything, but really, that’s probably a characteristic of Germanic languages. So this book has 120 recently coined German words to describe idiosyncrasies of life. Some highlights: Leertretung (stepping down heavily on a stair that is not there); Entlistungsfreude (the satisfaction achieved by crossing things off lists); and Zeigarnikfrustration (the gnawing sense of incompleteness knowing there is a partially eaten snack lying around). And here's Robyn Lawley on Ellen!